Before you even think about stepping up from Induction, consider the possibility of staying with it for a while longer. A lot of people think of Induction as only two weeks, but it can be followed for a longer time. If you have a lot of weight to lose or have difficulty losing weight, you might want to do Induction for quite a while. That way you'll see dramatic progress before moving on to the more moderate phases of the program. Although Induction offers plenty of advantages, there are lots of valid reasons for progressing: boredom with the food choices, modest weight loss goals (say 20 or 30 pounds) and perhaps the chance to avoid becoming dependent on a "crash diet" mentality. When people learn that they can lose weight quickly, as they do during Induction, they sometimes take their ability to lose weight for granted. They don't think in terms of a lifetime commitment to the Atkins lifestyle-just a quick fix for overindulgence. The result of this faulty thinking is yo-yo dieting and metabolic resistance to weight loss. While the next phase-Ongoing Weight Loss or OWL-may likely slow your rate of weight loss, this is not a bad thing. The slower the progress, the more chance you have to permanently change bad habits over the long term. 1. Are you bored with Induction? 3. How metabolically resistant are you to weight loss? 4. Are you willing to slow down the pace of weight loss in exchange for more food choices? If you are bored, and this boredom could lead to not complying with the Rules of Induction, by all means move on to OWL after two weeks. However, if you are comfortable staying in this phase, and you still have a lot of weight to lose, you can do Induction safely for six months or more. If you do not have much more weight to lose, it is advisable for you to advance to OWL so you can cycle through all the phases of the program. If you are metabolically resistant to weight loss, which you will know by how much weight you lost in the first two weeks and by comparing your results with the categories in the metabolic resistance tables on page 158, you will lose weight relatively slowly. People with high metabolic resistance can benefit from doing Induction longer because it gives them time to correct metabolic imbalances they may have developed over time. These include insulin resistance, blood-sugar imbalances, carbohydrate addictions and allergies. 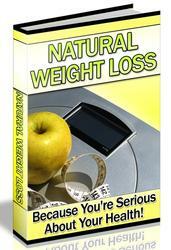 Once the metabolic imbalances are corrected, weight loss may speed up. But after all is said and done, to a large degree, your decision to continue Induction or move to OWL will depend on your personality and lifestyle. 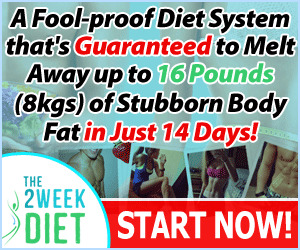 If you are the type to just go for it and can easily make your life work around the Induction eating program, you may decide to stick with it until you drop some more weight. Another person, who perhaps is under a lot of stress and wants to relax a bit about food choices, might choose to move to the more liberal phase of OWL. This brings us to the last, and ultimately the only, answer that matters. Is a longer period of time until you get to your goal weight the tradeoff you're willing to make to have more food choices? It's up to you.